In a milestone for the UK new-build programme, EDF Energy has formally applied for a licence to build and operate its proposed new reactor at Hinkley Point. The Nuclear Site Licence application to the Office for Nuclear Regulation (ONR) and Environmental Permit applications to the Environment Agency are the first such applications for around 20 years. Humphrey Cadoux-Hudson, managing director of nuclear new build at EDF Energy, said: “This is a significant milestone for EDF Energy’s project at Hinkley Point and for the industry as a whole. It is the first time in around 20 years that applications have been made for a licence and environmental permits for a new nuclear power plant, and we’re pleased to be making them publicly available. It is important that we are open and transparent in our work. The ONR will spend around 18 months assessing the application. The applications have been made in advance of a full planning application for the new power station and surrounding infrastructure. The application was made by NNB Generation Company, the joint venture between EDF and Centrica. 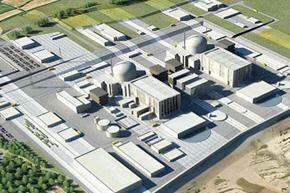 The applications cover two proposed Areva EPR power stations at Hinkley Point, Somerset. The venture is also proposing to build two EPRs at Sizewell, Suffolk. This week, Areva announced a new agreement with EDF to manufacture large forgings for Hinkley Point. For more information on the applications, see the EDF consultation site. For more information on construction at Hinkley Point, including a detailed construction and tender timeline, see the Hinkley supply chain portal managed by Somerset Chamber of Commerce. ONR completed the initial assessment phase of the Generic Design Assessment of the EPR and the Westinghouse AP1000 reactor earlier this month. A full report will be published in the Autumn, following the Weightman report on lessons from the Fukushima crisis. The Nuclear AMRC is pleased to announce the appointment of Professor Mike Burke as Director of Research and Technology. Burke has more than 30 years experience in materials and manufacturing process research for the power generation industry, most recently as manager of Westinghouse’s Materials Center of Excellence in Pennsylvania, USA. In his new role, he leads collaborative industry-focused research across the Nuclear AMRC’s facilities in Sheffield and Manchester. He is based at the Nuclear AMRC laboratories within The University of Manchester Dalton Nuclear Institute. Originally from Lancashire, Mike Burke studied for his PhD at the University of Sheffield, where his thesis was awarded the 1981 Brunton Medal for Metallurgical Research. He spent the next three decades in the US, working for Westinghouse and Siemens on industrial research for nuclear and fossil fuel applications. •	Ceramic matrix composites for high efficiency power generation systems. In his most recent position, Burke was responsible for coordinating materials technologies across Westinghouse’s nuclear power plant operations, and managing R&D facilities including the ‘Hot Cell’ used to test irradiated materials from operational plants. He holds 21 patents. “My work is about bridging the gap between the guys who want more performance out of their materials, and the manufacturing guys who are going to make that for them,” says Burke. Plans to establish a Manufacturing Skills for Nuclear hub at the Nuclear AMRC have received backing from the Business Secretary. The plans are part of the National Skills Academy’s bid for expansion into nuclear manufacturing, through the Government’s Growth and Innovation Fund. The proposed National Skills Academy for Manufacturing for Nuclear will be a collaboration between the National Skills Academy for Nuclear, Semta/National Skills Academy for Manufacturing, and the Nuclear AMRC. 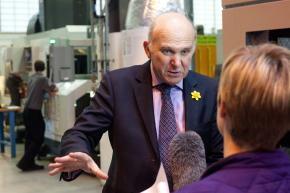 Business Secretary Vince Cable MP (pictured visiting the AMRC in March) has now announced government backing for the academy’s Expression of Interest to the Growth and Innovation Fund. The National Skills Academy for Nuclear is now leading the completion of a detailed business plan, to be submitted for Government approval in early 2012. The National Skills Academy for Manufacturing for Nuclear will focus on ensuring that manufacturing companies contracting with the nuclear sector have the skills to meet the standards required. A single point of contact for employers about skills for nuclear manufacturing. The development of high priority training and skills products matched to the manufacturing companies. 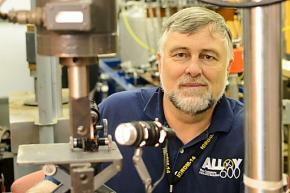 An established High Quality Provider Network expanded into the nuclear manufacturing sector. Access for employers to a range of innovative support tools, developed by each of the key partners. Further development of key training courses and qualifications to support the up-skilling of manufacturers. For more information, see the National Skills Academy for Nuclear announcement. Manufacturing companies wanting to join the civil nuclear supply chain can now test their readiness online. Delivered exclusively by the Nuclear AMRC with the Manufacturing Advisory Service (MAS) and other partners, the Fit For Nuclear (F4N) programme helps companies understand the requirements and challenges of the nuclear energy market. Following pilot trials with invited companies, the F4N assessment is now available to all engineering manufacturers which want to measure their operations against the standards required to supply the UK’s new generation of nuclear power stations. The results help identify any gaps that the company can address. The Nuclear AMRC and partners can then help companies fill these gaps to enhance operations, processes and capabilities. Fit For Nuclear can provide a direct route for companies to be considered by industry leaders for entry into their own supply chains. Under a collaborative agreement announced in March, the Nuclear AMRC will act as a route for companies which do not have an existing relationship with French reactor provider Areva, but which have the potential to become nuclear-capable and provide products within Areva’s scope of supply. 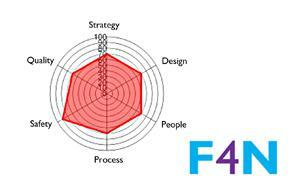 Initial identification of potential suppliers will be carried out through F4N.